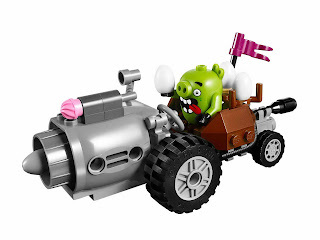 come with a piggy car. 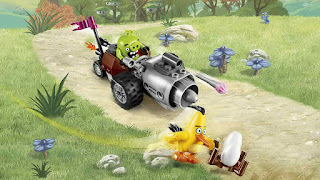 the car has 2 exhaust pipes, a nest, 2 eggs, a flag and an ice cream shooter. 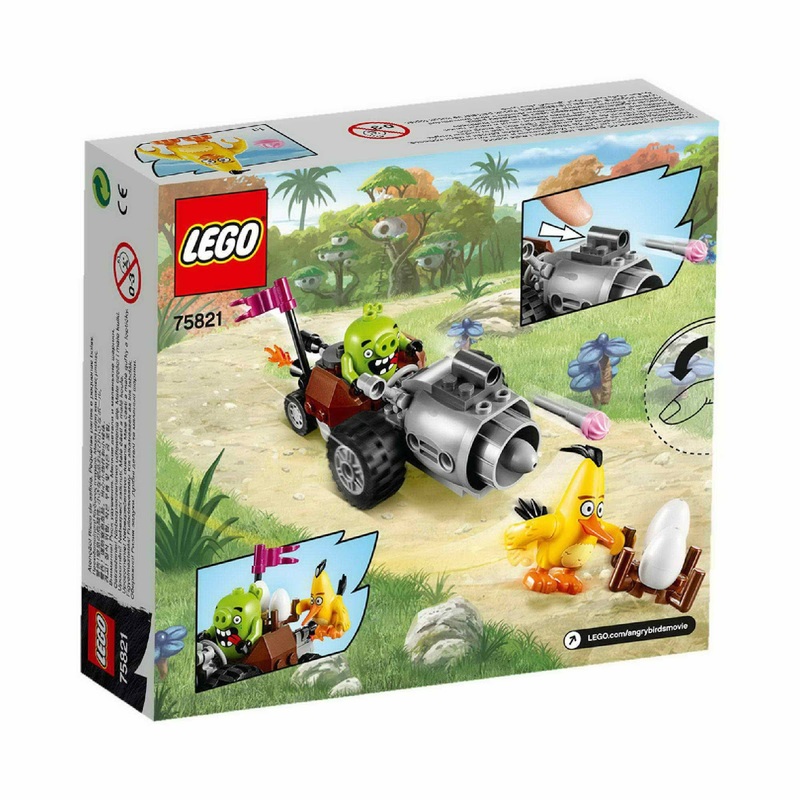 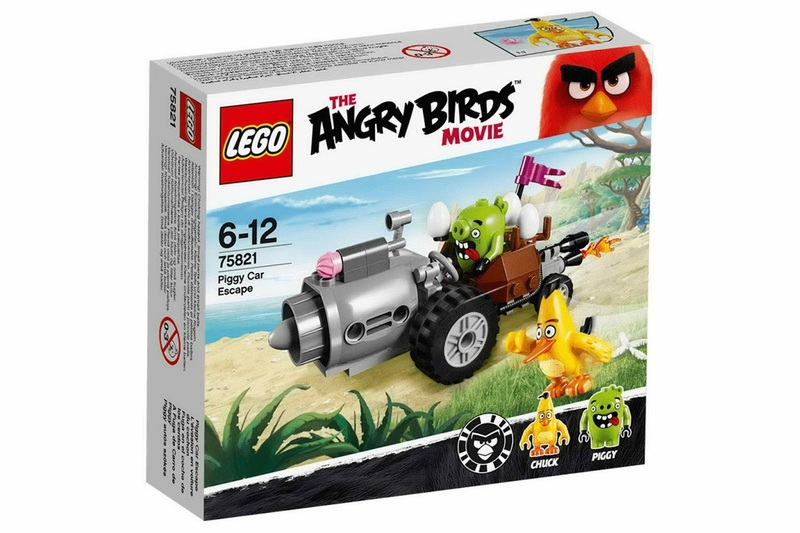 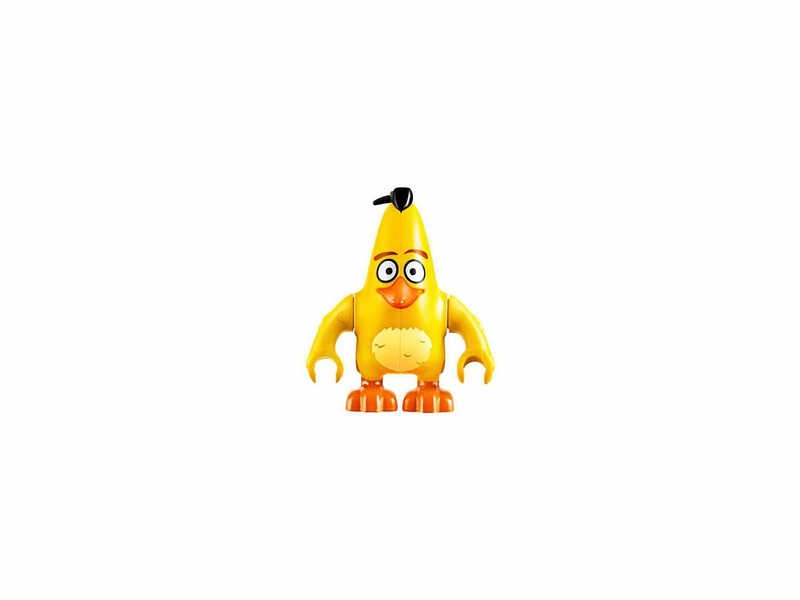 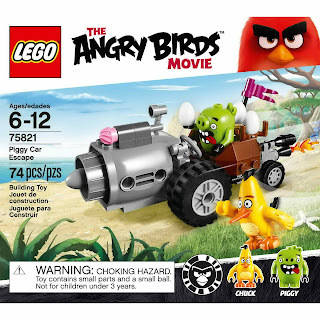 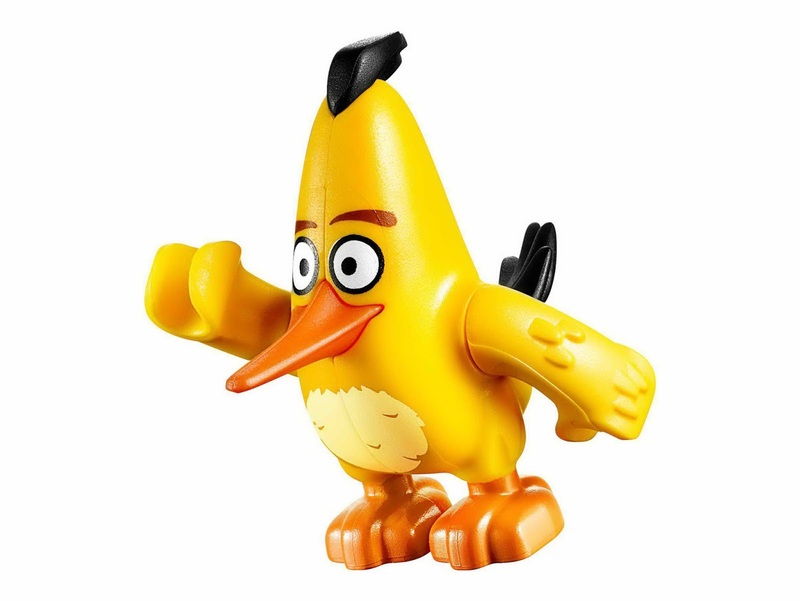 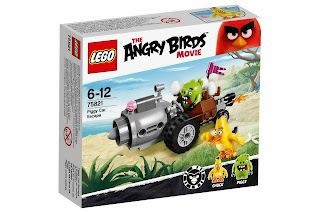 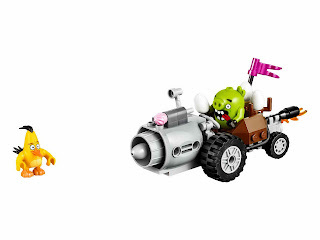 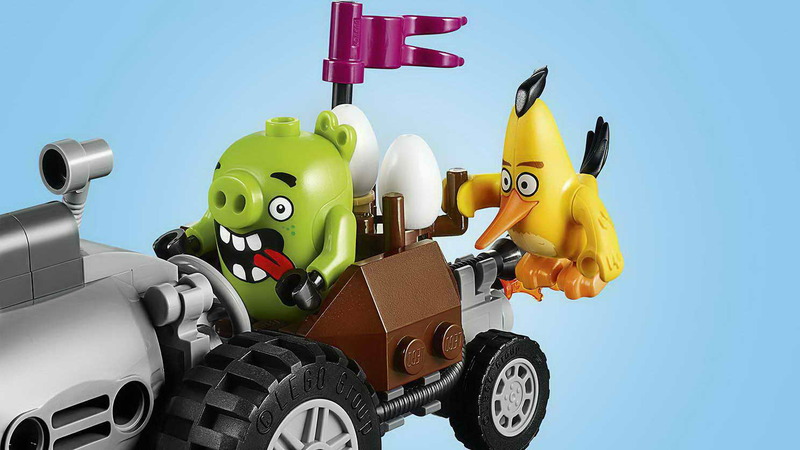 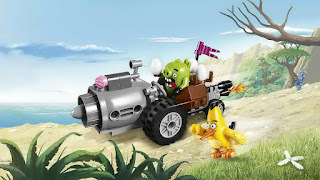 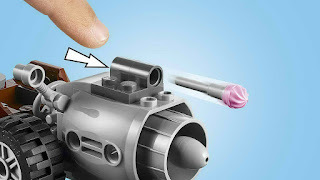 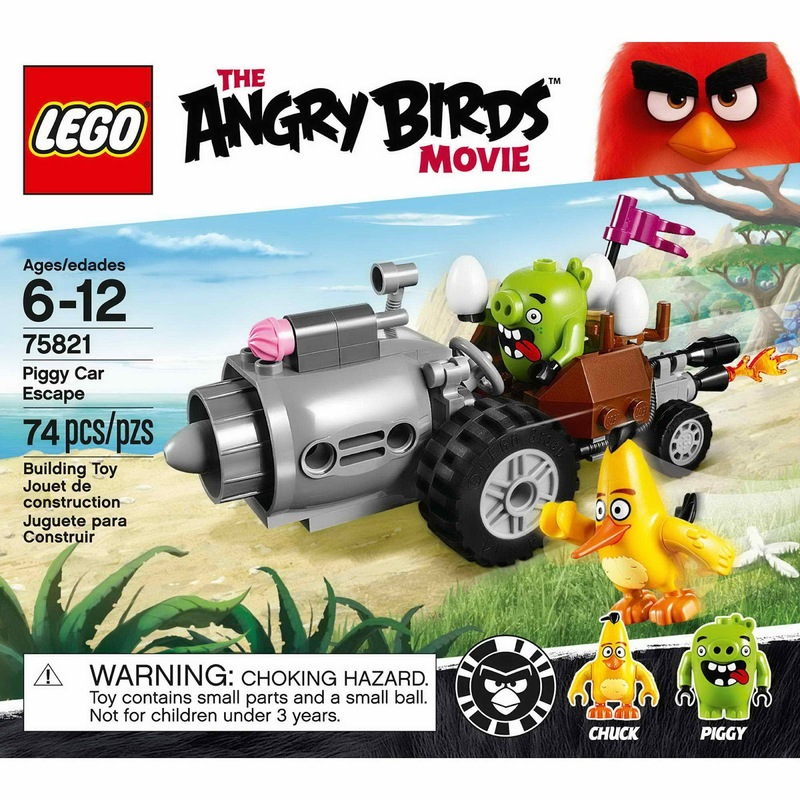 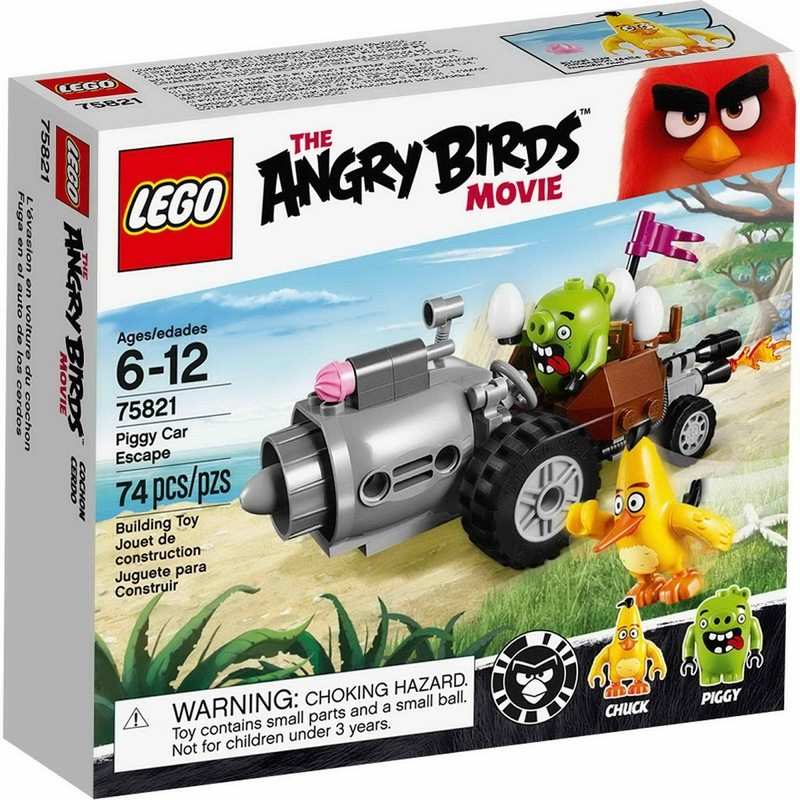 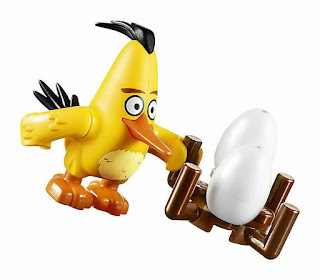 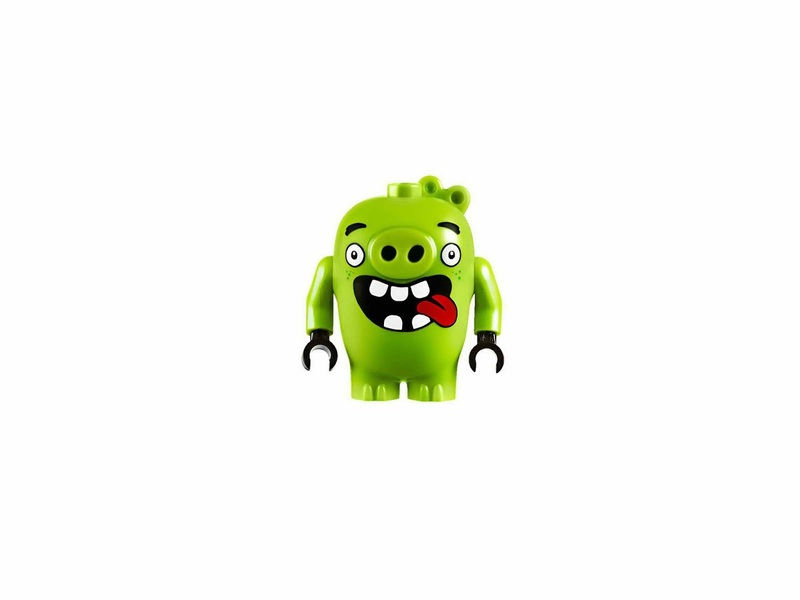 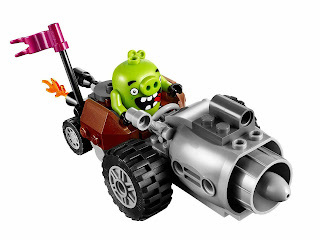 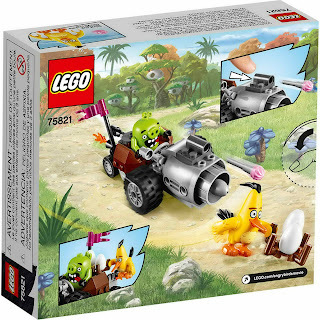 minifigs included a chuck the angry bird minifig and a piggy minifig.